Bengali food joint frequented by travelers staying in Free school street area & local population as well , this almost zero ambience, average service restaurant serves some really YUMM food. We heard about this restaurant from a friend of ours who said this restaurant is a favorite of tourists from Bangladesh. That sounded quite interesting & reminded us of the Afghan restaurants in delhi that r frequented by Afghan tourists in Delhi. Expecting that level of authenticity we proceeded to the restaurant. 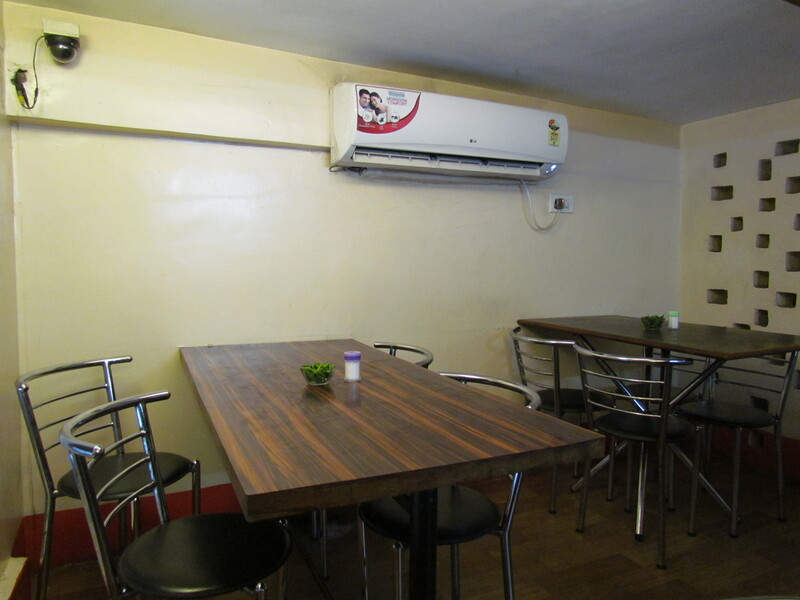 The ground floor is a totally unutilized space that has a wash basin, a refrigerator & a waiting area. The first floor has a few super tiny eating rooms with very low ceiling – so low that I had to b respectful all the while (I had to keep my head bowed at all times while standing). The rooms were not built to be for a restaurant but they were carved out at some point in time. Tables of four were placed near to each other & one cud listen to every piece of conversation in the neighboring table loud & clear. The rooms were airconditioned & the furniture was basic. There was no menu card & they followed the age old system of what I call ‘oral tradition’. A guy came up & verbally narrated the items on offer, almost at the speed of a rap song. It was So fast that I had to ask for clarifications thrice. Food was very enjoyable & was not high priced. Sans the Ilish, everything else that we had was approx. around Rs. 500. Post this we had Chingri chorchori. 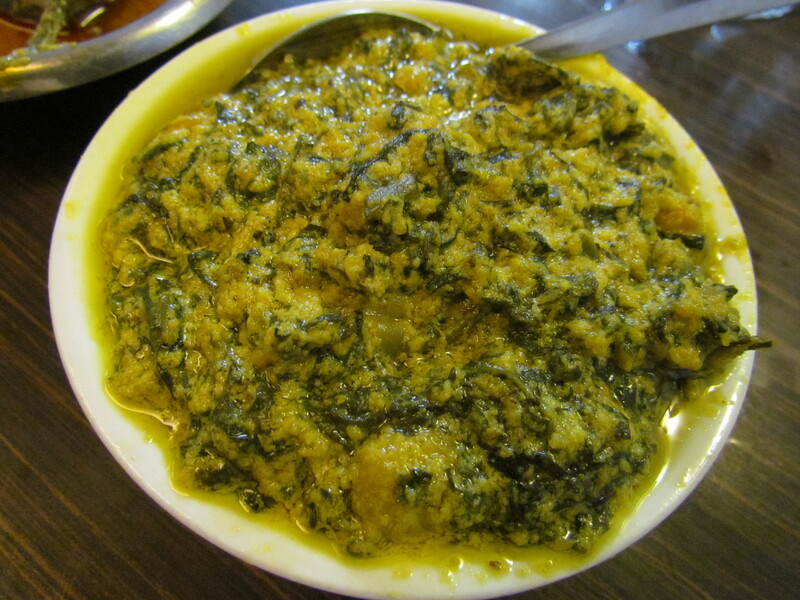 For the uninitiated, chorchori refers to a mixed veggie (sometimes saag is also added) curry. 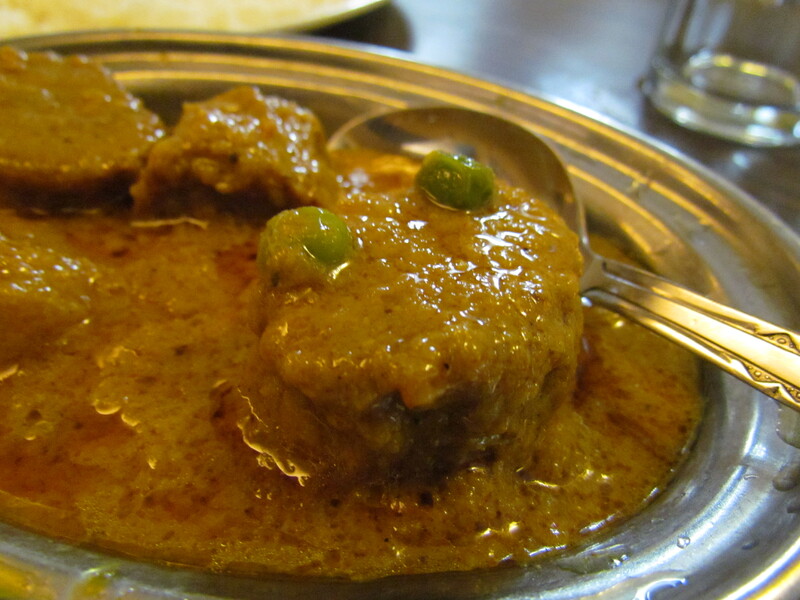 Usually muro (fish head) is added to the curry. 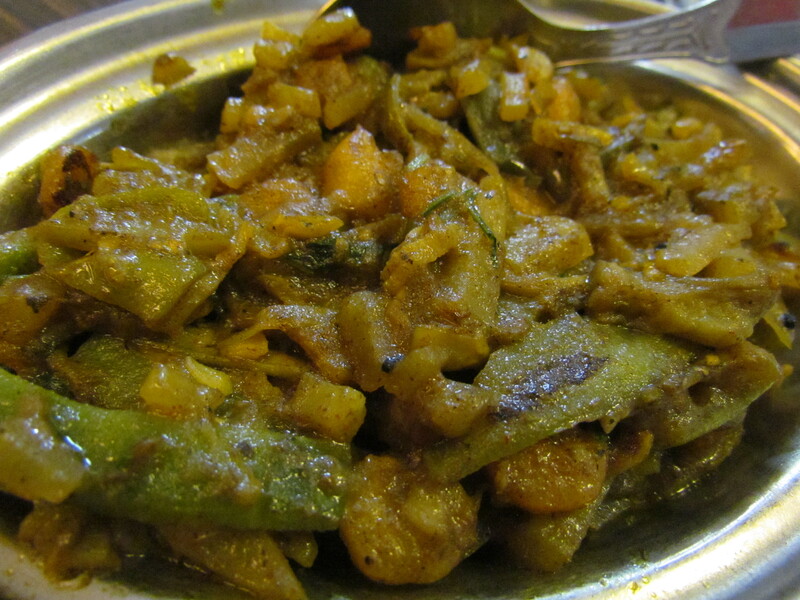 Chingri Chorchori meant that the vegetable curry had prawns. 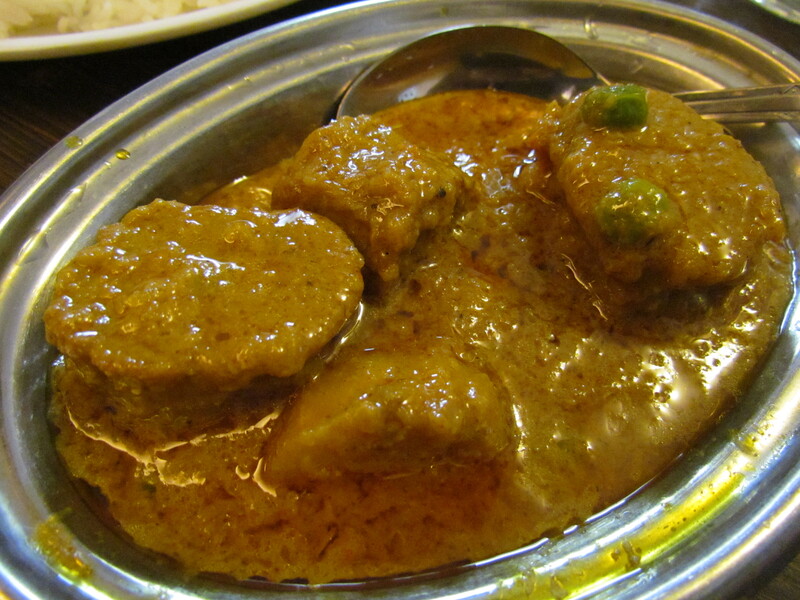 We next moved on to Shorshey ilish – Hilsa fish in mustard gravy. 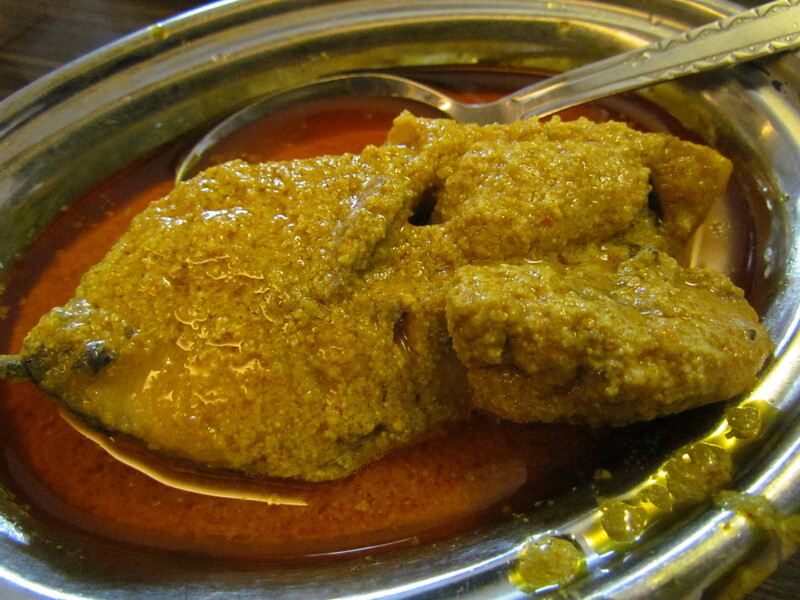 It was a very very good Ilish – we cud feel the layers of fat within. Soft & juicy & amply tasty. The mustard was very pungent as well, though not as much that it hits the sinuses. The gravy was fairly hot as well. Bonus point was that all pieces served to us had machher dim (fish roe / fish egg). There was however no twist to the tale. The taste direction was pretty straight forward. We really liked this dish & rate it at 4.25/5. 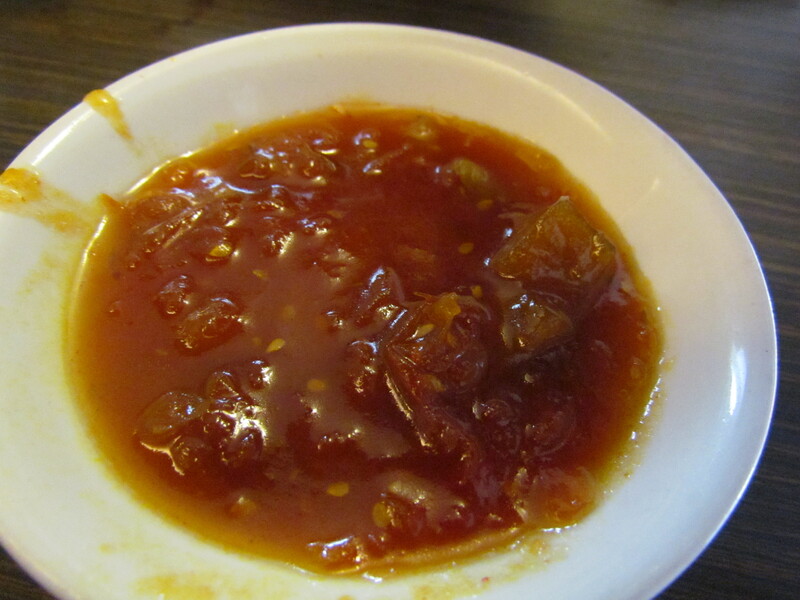 To end the meal we had tomato Chutney. It was agin a pretty simple one. 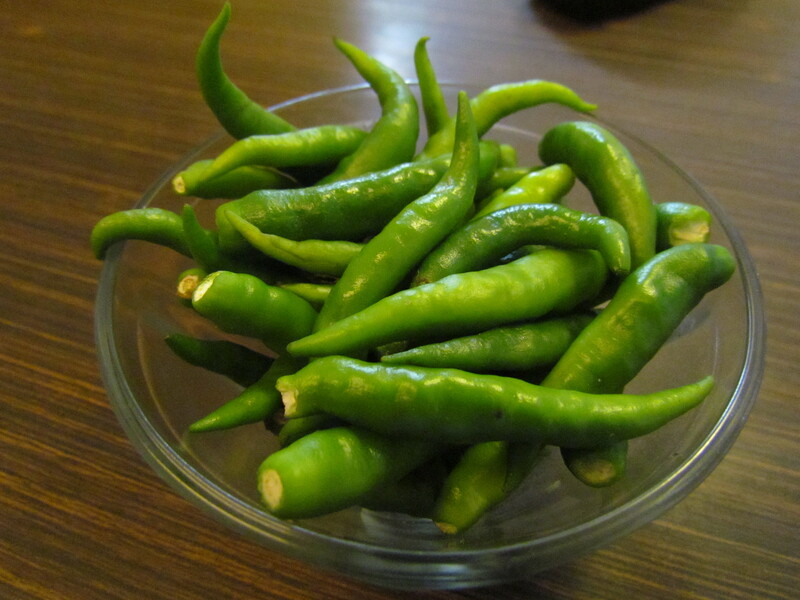 It had a hint of salt, sweetness of sugar & sourness from the tomatoes. It was good but again not more than just that. I rate it 3/5. Rating of food at Kasturi averages out to 4/5. 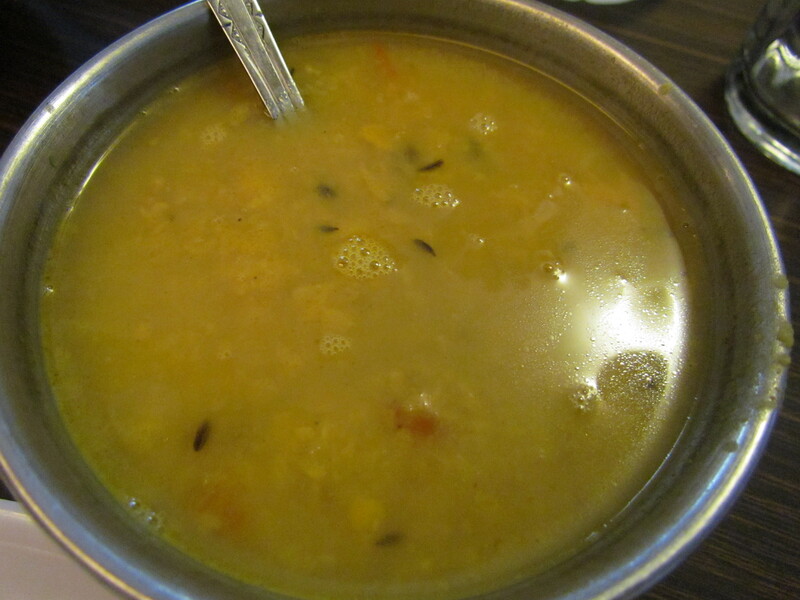 I loved the food at Kasturi & want to have that again. 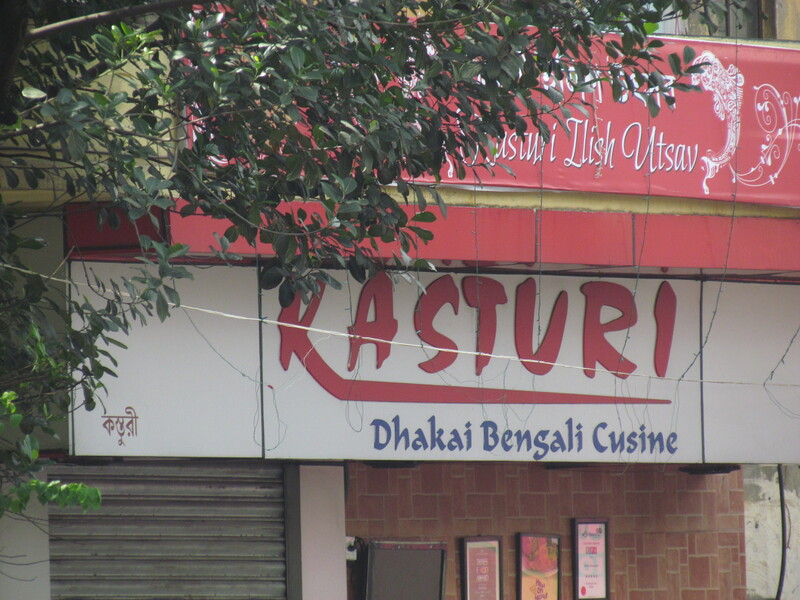 Kasturi also has a branch in Swinhoe street Ballygunge. Thinking of checking that out next time. I am usually not really bothered about the ambience of an eatery as long as food is good but somehow this experience was quite depressing from both ambience & service point of view. Its just a feeling & there is no specific reason. Look forward to hearing ur experience & comments. Was updating myself on the Kolkata restaurants. 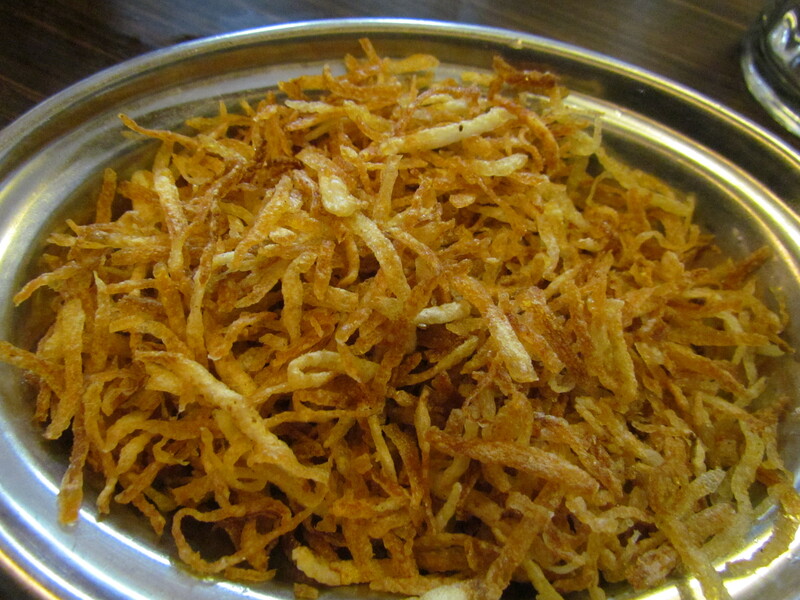 Have heard a lot about Kasturi…. I believe that the Swinhoe street branch is better. Food seems to be worth the try, going by your review. Have you tried the new joints like ‘Oudh’ and ‘The Briyani Company’? Not yet. Kothai? Did u try?